The Parole Board has announced today that a recruitment campaign for new members is now open. "Parole Board members play an essential role in the criminal justice system, making decisions on whether a person is safe to release into the community. "If you have an interest in protecting your community and the belief that every prisoner deserves a fair hearing, then you might want to consider applying. "We welcome applications from all backgrounds so that the Parole Board can better reflect the communities it serves. "Indeed, one of the main aims for this campaign is to start to redress the shortage of black and minority ethnic members." There are three strands to the campaign, with one for each type of member being recruited – independent, psychologist and judicial members. An independent member can come from a variety of backgrounds and does not need to have experience working in the criminal justice system to apply. The independent member campaign is focussed on the North-East, North-West and Yorkshire & the Humber regions of England. The psychologist and judicial member campaigns are open for people with the eligible qualifications across England & Wales. 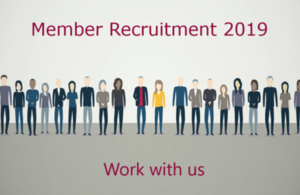 We anticipate that there will be further recruitment campaigns for independent members covering other regions of England & Wales in the future.